Industrial Air Compressor Warranty | Compressor-Pump & Service, Inc. When you purchase an industrial air compressor, you probably hope that your business will be able to rely on it for a long time to come. However, in case things do go wrong, you’ll feel more comfortable with warranty coverage. These are some of the things that you’ll want to know about industrial air compressor warranties. Different industrial air compressor manufacturers offer different levels of warranty coverage on their products. Therefore, one added thing that you’ll want to look at when choosing an industrial air compressor is the warranty that is offered. 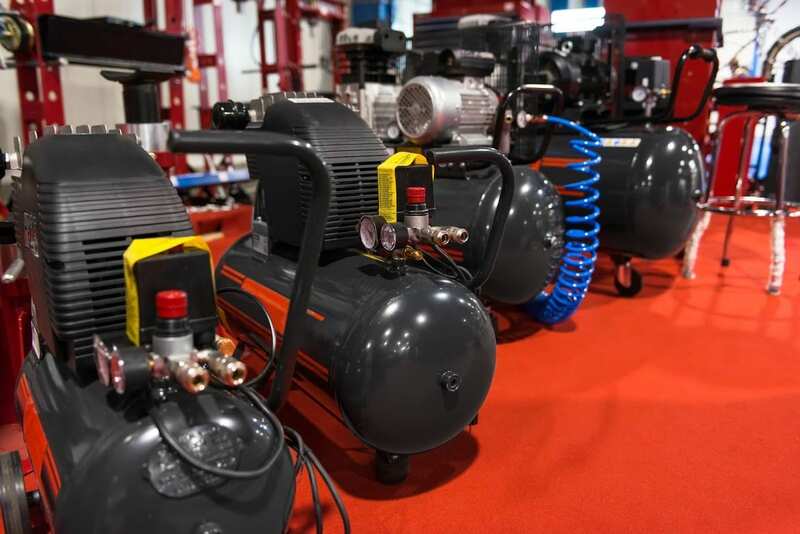 It may be worth it to invest more in an industrial air compressor that comes with a better warranty, as long as the air compressor offers the other features you’re looking for. You have to consider a variety of factors when installing an industrial air compressor. You have to make sure that it’s in a clean, cool, and dry area. Make sure that you leave enough space around the air compressor so that air can circulate and maintenance can be performed. The manufacturer’s instructions may include additional information about proper installation of the unit. Make sure the unit is properly installed to prevent problems with it later. Plus, for the warranty to be valid, a proper installation is usually required. Opt for a professional installation to help you prevent problems with the unit and its warranty coverage. In general, industrial air compressors are usually relatively easy to maintain. This simple maintenance should not be forgotten, though. Be sure to change the oil regularly, drain the water from the tank on a daily basis, change the air filter when it gets dirty, and swap out belts and other parts when needed to keep your air compressor running smoothly. For one thing, keeping up with regular upkeep with your industrial air compressor prevents it from breaking down in the first place. Additionally, the manufacturer may require that all regular maintenance be performed on the unit in order for the warranty to be valid. If you make a warranty claim and it is found that you haven’t been maintaining the unit, the claim may be denied. Read the manual that came with your unit so that you understand the maintenance that needs to be done. Additionally, a professional who handles air compressor installations and repairs can advise you about maintenance that you can do yourself and can help with maintenance tasks that you might struggle with. Industrial air compressors can be used in a variety of ways. Make sure that you choose the right air compressor for the amount and type of work that needs to be done in your business, and read the instruction manual to find out what you should and should not do with the air compressor. Improper use can void the warranty, damage the unit, and even cause injury. If your air compressor stops working like it’s supposed to, your first instinct might be to try to fix it yourself. However, if you don’t know what you’re doing, it’s better to call a professional. You can avoid wasting time and can get your unit back up and running more quickly this way. Plus, your warranty can be voided if you attempt to make repairs yourself and accidentally damage the unit in the process. Contact us at Compressor-Pump & Service, Inc., if you’d like to find out more about industrial air compressors and the warranties that come with them.